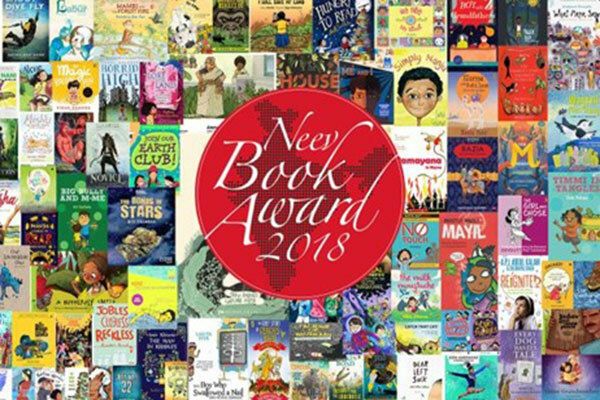 The Neev Book Awards 2018 under three categories were awarded to I Will Save My Land (picture books category) by Rinchin, illustrated by Sagar Kolwankar and published by Tulika Books; Tiger Boy (young readers category) by Mitali Perkins and published by Duckbill; Queen of Ice (young adult literature) by Devika Rangachari and published by Duckbill. The award including a citation, keepsake, and cash award of Rs. 100,000 were given away at the third day of the Children’s Literature Festival organized by Neev Academy at its Yemalur campus. The second edition of the literature festival hosted over 70 authors, illustrators and librarians from across the country and world including David Melling, Niveditha Subramanian, Sowmya Rajendran, Sandhya Rao, Jess Butterworth, Kate Darnton and Oliver Phommavanh. “Children’s literature is going through a renaissance in India in terms of themes, techniques and genre. However, it’s not recognised as much as the mainstream literature and is always sidelined during major literary events. Here, we intend to celebrate and recognize the writers, illustrators and publishers and at the same time grow readers for life, and inspire reading for pleasure, knowledge and mastery in children. The best gift we can give children today is an insatiable appetite for reading. The fest assembled writers who gave lives to their literary heroes and facilitated face-to-face interaction with them,” says Kavita Gupta Sabharwal, founder and managing trustee, Neev Academy. The three day event held from September 27-29 saw panel discussions, book launches, sessions on storytelling, reading from popular children’s books and book signing sessions for children in the age group of 5-18 years. Over 1500 school going children attended the event.